Deliver engaging English lessons for classes of up to 12 children in ability level groups from beginner to advanced. Ensure all policies and procedures on camp are adhered to by yourself and the children in your care, including health and safety, and safeguarding procedures. Take a pastoral role welcoming new children into your group and liaising with the Camp Manager, Academic Manager and/or parents as necessary. Monitor student progress and provide written feedback to parents in report form at the end of each student’s time on Camp. 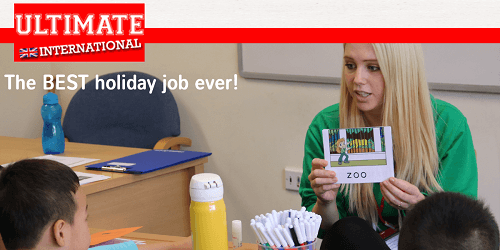 Live up to the Ultimate Activity Camp promise of ‘Inspiring Children Every Day’ throughout your employment.